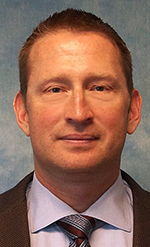 DETROIT— The Detroit Medical Center has named Bryan Roach as vice president of Project Management Office/Lean operations. Roach joined the DMC as senior director of operations finance. In this new position, Roach will direct the personnel, operational, and financial activities of the DMC’s controller office, strategic lean office, and project management office. His primary directive will be to drive performance improvement across the DMC system. He will also continue his duties as the senior director of operations finance. Roach, of Novi, earned a bachelor’s in aerospace engineering from the U.S. Naval Academy in Annapolis, Md., his MBA from Kelly School of Business in Indiana, and obtained his master’s in accounting from Daniel College of Business in Denver.